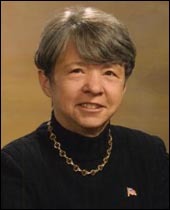 Chair Mary Jo White said on June 20, 2014 , I want to speak to you about the current state of our securities markets – an issue that I know is on your minds and one that is well-suited for the financial capital of the world. The U.S. securities markets are the largest and most robust in the world, and they are fundamental to the global economy. They transform the savings of investors into capital for thousands of companies, add to nest eggs, send our children to college, turn American ingenuity into tomorrow’s innovation, finance critical public infrastructure, and help transfer unwanted financial risks. The state and quality of our equity markets in particular have received a great deal of attention lately, with a discussion that has expanded well beyond those who regularly think and write about these markets to include every day investors concerned about the investments they make and the savings they depend on. I have been closely focused on these issues since I joined the SEC about a year ago, and I welcome this broader dialogue. Two weeks ago, just a few blocks from here, I spoke about the SEC’s plan to strengthen our current equity market structure and make it more transparent. In addition to outlining a focused review of our rules and targeted initiatives, I emphasized our commitment to comprehensively review and address core market structure policy issues, such as the overall fairness of trading in high-speed markets, changes in the number and nature of trading venues, and conflicts of interest at broker-dealers. Today, I would like to continue and broaden the discussion about these fundamental issues, focusing on the changing nature of one of the most basic of securities market functions – intermediation. At its simplest, intermediation means the services offered by market professionals to execute the buy and sell orders of investors – services offered by brokers, dealers, and exchanges. Just as in other segments of the economy, powerful forces of competition and technology can transform these services, and have done so. A central challenge for us at the SEC is to adopt regulatory approaches that ensure intermediaries harness the forces of technology and competition to better serve the needs of investors in each of the markets we oversee – not just in equities, but also in fixed income and derivatives. To understand this challenge, I want to first talk a bit about why competition and technology are so important to how we address market structure issues generally, and the role of intermediation in particular. I will then turn to contrasting markets to illustrate the complexity of our task as regulators when we grapple with these forces: namely, how the equity and fixed income markets have been affected – or not affected – by competition and technology. Just like the U.S. macroeconomy, all of the securities markets operate within a “structure” of rules, technology, market practices, and other constraints that establish the boundaries for interactions between buyers and sellers. It is important to recognize that this “structure” does not just mean regulation, but also the much more complex interaction among regulation and other factors like competition and technology. Every incremental change in these interactions can produce significant, sometimes unintended economic consequences that may not become evident for a period of years or even decades. This dynamic reality means that we should not be chasing regulatory solutions that “fix” our market structure once and for all. Our markets are not broken and they are not static. In that sense, our work on market structure is never finished – the speed with which technology and markets change makes that impossible – instead, we must always be focused on what in our market structure can be improved for the benefit of investors and companies. Taking this approach requires expanding our perspective both in terms of time – considering developments well past the last few years – and in terms of markets – understanding the differences across markets, rather than simply excusing them as an inevitable consequence of different products and structures. If we stand too close to the particular problems in a particular market structure at a particular time, we may fail to fully understand the broader forces that are at work and the regulatory choices that are available. Consider the connection that some have asserted between the rise of high-frequency trading and the implementation of Regulation NMS in 2007. Regulation NMS, as most of you know, is the Commission’s most recent comprehensive set of rules designed to carry out our statutory mandate to establish a national market system for equities. <http://wcm.sec.gov/servlet/Satellite?d=&c=SECSpeech&pagename=SECNews%2FSECSpeech%2FDetail&cid=1370542122012#_edn1> Regulation NMS includes a so-called “trade-through” provision that generally prohibits trades at prices inferior to the best quoted prices. Some have argued that this provision facilitated the fragmentation of volume among many new trading venues, enabling high-frequency trading to flourish by exploiting the fastest connections among these venues. Given the current prevalence of high-frequency traders in our equities markets – some put the number at fifty percent of daily volume <http://wcm.sec.gov/servlet/Satellite?d=&c=SECSpeech&pagename=SECNews%2FSECSpeech%2FDetail&cid=1370542122012#_edn2> – one might reasonably ask whether Regulation NMS did in fact change the “rules of the game” in favor of speed. As a regulator assessing our markets, however, we cannot rely simply on the temporal juxtaposition of Regulation NMS and high-frequency trading. The issues and forces at play are more complex. This can be seen in the data from other markets both in the United States and around the world – many of which are also now characterized by high levels of high-frequency trading, but none of which have their own Regulation NMS. Comparisons like this rather basic one demonstrate the need for a wider lens in evaluating market structure issues and proposals for changes. That wider lens immediately – and inevitably – brings competition and technology into view. Perhaps nowhere has the impact of the forces of technology and competition been more profound than in how intermediation has changed over the last twenty years in equities and listed options. At least since 1934, when Congress first mandated regulation of trading in the U.S. securities markets, intermediation has been defined by the respective functions of exchanges, brokers, and dealers. Exchanges provide facilities that bring together purchasers and sellers of securities, generally for a specified fee. Brokers are agents – they engage in the business of effecting transactions in securities for the account of others, generally for an explicit commission. And dealers are principals – they engage in the business of buying and selling securities for their own account, and generally are compensated implicitly through trading profits. And some of these dealers are high-frequency traders. To complicate things further, the neat lines that Congress drew in 1934 have not resulted in models of intermediation that are clear-cut or uniform across securities markets. Most obviously, the functions of broker and dealer often have been combined – there is a reason we call them “broker-dealers.” The conflict between investors’ interests and the intermediary’s interests that can be created by this dual role has been a source of serious concern since the SEC was created. Another type of dual role and conflict has arisen when exchanges and dealers have acted collectively to control competition among dealers in setting their prices, as occurred in the NASDAQ market in the 1990s. In addition to conflicts of interest, intermediation – when it is unnecessary, inefficient, or uncompetitive – can also unnecessarily increase the costs to investors. The explicit fees charged by exchanges and brokers, for example, may be excessive in the absence of effective competition. Serious concerns have also been raised about excessive intermediation by dealers. Embedded in trading profits, the costs of dealer intermediation are typically much more difficult to measure – and much less transparent – than the costs of exchange and broker intermediation. First, dealers may insert themselves between buyers and sellers when they are not really needed, which is most likely to occur in actively traded products for which there are often a large number of investors seeking to trade. Second, because their profits and costs are not transparent, dealers may trade at prices that are not determined by effective competition. Given that a great many securities products are not actively traded, dealers continue to play a critical role in our markets. An important challenge for the SEC has long been how to ensure that dealers have the economic incentives to continue to play this role while avoiding undue costs for investors from excessive intermediation. Given the importance of intermediation in our markets – and the related, persistent concerns of conflicts of interest and investors’ costs – we must continually rethink the way we look at “intermediation.” In particular, for a given market, we must ask whether intermediation has appropriately harnessed competition and technology in the service of investors. Are the benefits being realized by investors? Are there unintended consequences that are adversely affecting investors? Is regulation appropriately tailored to the competitive dynamics and technological developments of the market? Stepping back to look at the contrast between the equity and fixed income markets may help us better understand these questions and the inherent complexities of the regulatory decisions for the SEC. In the U.S. equity markets, competition and technology have had a profound effect over many years, generating enormous benefits for investors and issuers. Equity markets today are host to a diverse set of exchanges and alternative trading systems that match buyers and sellers. Dealer intermediation is substantial in both types of matching venues. Today, even in the very lively debate about the various aspects of equity market structure, one would be hard-pressed to find concerns about a lack of competition among equities exchanges and other intermediaries, or that they have failed to take advantage of new technologies. At least with respect to exchanges, this is a major change from the past, where a primary concern was for years the potential for dominant markets to stand in the way of the forces of technology and competition. This concern was certainly at the forefront in 1975, when Congress amended the Exchange Act to direct the Commission to facilitate the creation of a national market system. <http://wcm.sec.gov/servlet/Satellite?d=&c=SECSpeech&pagename=SECNews%2FSECSpeech%2FDetail&cid=1370542122012#_edn5> And it continued into the adoption of Regulation NMS, with fears that competition sparked by the new rules would be limited to the NYSE and NASDAQ. <http://wcm.sec.gov/servlet/Satellite?d=&c=SECSpeech&pagename=SECNews%2FSECSpeech%2FDetail&cid=1370542122012#_edn6> We are now living in a much different world, where many are questioning whether the pendulum has swung too far and we have too many venues, creating unnecessary complexity and costs for investors. Over the last 40 years, the SEC has worked hard to further the statutory objectives of the national market system, which include the efficient execution of transactions, price transparency, competition, best execution, and an opportunity for investor orders to meet directly. But, as previous Commissions have noted repeatedly, <http://wcm.sec.gov/servlet/Satellite?d=&c=SECSpeech&pagename=SECNews%2FSECSpeech%2FDetail&cid=1370542122012#_edn7> these objectives are not entirely aligned. In particular, the goal of competition among trading venues can lead to what we generally call “fragmentation,” where orders may be spread among competing venues. Too much fragmentation may in turn detract from efficient execution and an opportunity for investor orders to meet directly by creating opportunities for excessive intermediation. Institutional investors responded to the increases in their trading costs caused by the wider spreads, finding ways to directly negotiate better prices with different dealers and take advantage of an alternative trading venue known as an ECN – an electronic communication network. While both institutional investors and dealers traded on the ECN, retail investors had no access to the more favorable prices quoted on the ECN. But brokers that handled retail orders directly benefitted from the artificially wide spreads created by the collusive scheme because they either traded with their customers directly as dealers or sold their order flow for a fee to other dealers. The SEC ultimately addressed these issues in 1996 by requiring that the NASDAQ quoting system be opened up to prices of all participants, not just dealers, and by emphasizing that brokers that handled retail order flow were required to consider opportunities for price improvement on the displayed prices. <http://wcm.sec.gov/servlet/Satellite?d=&c=SECSpeech&pagename=SECNews%2FSECSpeech%2FDetail&cid=1370542122012#_edn9> These steps served to empower the ECNs, unleashing competitive forces that led to a major shift in trading volume from the NASDAQ dealers to the ECNs. By 2004, multiple competing ECNs and NASDAQ matching systems shared approximately 70% of volume. <http://wcm.sec.gov/servlet/Satellite?d=&c=SECSpeech&pagename=SECNews%2FSECSpeech%2FDetail&cid=1370542122012#_edn10> Trading on these matching systems was highly automated. ECNs disseminated market data directly to their subscribers, as well as to the public. ECNs also used the pricing structure used today by most exchanges. Finally, the speed and electronic nature of the ECNs proved attractive to proprietary firms that engaged in high-volume algorithmic strategies. Before long, these firms became known as high-frequency traders. If these key features of the equity market structure in 2004 sound familiar to you, they should. Though it originated well before Regulation NMS was implemented in 2007, this structure is very similar to what we have today – and it was created through intense competition and tremendous technological changes, not just SEC actions. We are addressing a number of fundamental issues in our comprehensive review of equity market structure. But, as we examine those issues through our wider lenses, this thumbnail history suggests two current lessons for our approach. First, even if it were a desired objective, the impact of technology and competition on intermediation in our modern equity market structure cannot be undone through minor regulatory surgery – it is the culmination of over a quarter century of evolution, much of which has benefited investors. Second, given the pace of technological change and the intensity of competition in the equity markets, we must always focus on ensuring that our rules are keeping pace. If they do not, as they did not with the advent of electronic trading, our obligation to ensure that our markets continue to serve investors and companies will be compromised. Trading in these massive fixed income markets, however, remains highly decentralized, occurring primarily through dealers, where costs of intermediation are much more difficult to measure than in other, more transparent venues. And while transaction prices for both corporate and municipal bonds are now available to investors shortly after the trade occurs, the amount of pricing information available before a trade – bids and offers – is very limited, and is certainly not widely available to the investing public. Here, in contrast to the equity markets where the concern perhaps is whether technology and competition have taken us too far, one might instead ask for the fixed income markets whether the transformative power of these forces has been allowed to operate to the extent it should to benefit investors. It is striking that the dramatic technological advances that have transformed the equity markets over the past decade have had only a modest impact on the trading of fixed income securities. While today there are a number of electronic systems that facilitate trading in fixed income securities, they tend to be “inventory-based,” providing information primarily on the bonds their participating dealers would like to sell. In addition, information about the trading interest reflected on these systems often is restricted to participating dealers and select customers. So, although new technologies are gradually being incorporated into the trading of fixed income securities, producing efficiencies and some pre-trade pricing information, it appears they are being used primarily to support the traditional dealer model. I am therefore concerned that in the fixed income markets, technology is being leveraged simply to make the old, decentralized method of trading more efficient for market intermediaries, and its potential to achieve more widespread benefits for investors, including the broad availability of pre-trade pricing information, lower search costs, and greater price competition – especially for retail investors – is not being realized. To partially address this concern, and to help assure that investors receive the best prices reasonably available, I have asked FINRA and the MSRB to prioritize their constructive, ongoing work on two important, but in my opinion readily achievable, initiatives to improve the quality and transparency of the prices received by investors. First, to assure that brokers are subject to meaningful obligations to achieve the best executions for investors in both corporate and municipal bond transactions, we will be working closely with the MSRB in the coming months as they finalize a robust best execution rule for the municipal securities market, and with FINRA and the MSRB as they work together to provide practical guidance on how brokers might effectively achieve best execution. <http://wcm.sec.gov/servlet/Satellite?d=&c=SECSpeech&pagename=SECNews%2FSECSpeech%2FDetail&cid=1370542122012#_edn12> The development of a workable best execution rule for both the corporate and municipal bond markets is vital for the protection of investors and enhancing price competition. Second, to help investors better understand the cost of their fixed income transactions, we will work with FINRA and the MSRB in their efforts to develop rules by the end of this year regarding disclosure of markups in “riskless principal” transactions for both corporate and municipal bonds. These transactions occur when dealers buy and sell a fixed income security at substantially the same price and time to fill two customer orders. Markups – the dealers’ compensation – for these transactions can be readily identified because they are based on the difference in prices on the two contemporaneous transactions, which already must be reported promptly to FINRA and the MSRB for public posting after the trade. This information should help customers assess the reasonableness of their dealer’s compensation and should deter overcharging. The need for markup disclosure is increasingly important as riskless principal transactions become more common in the fixed income markets. And the importance of markup disclosure is especially pronounced in the current low-yield environment, where the amount of an intermediary’s compensation can have a measurable impact on the yield that an investor receives. More broadly, we must take steps to ensure that the benefits of technological advances are realized by all investors in the fixed income markets. Accordingly, I have asked the staff to focus on a regulatory initiative to enhance the public availability of pre-trade pricing information in the fixed income markets, particularly with respect to smaller retail-size orders. This initiative – referenced in the Commission’s 2012 Report on the Municipal Securities Market <http://wcm.sec.gov/servlet/Satellite?d=&c=SECSpeech&pagename=SECNews%2FSECSpeech%2FDetail&cid=1370542122012#_edn13> – would require the public dissemination of the best prices generated by alternative trading systems and other electronic dealer networks in the corporate and municipal bond markets. This potentially transformative change would broaden access to pricing information that today is available only to select parties. I am, however, also acutely aware of the need to carefully calibrate any regulatory proposal in this area to best achieve its goals and minimize unintended consequences. In particular, we must be mindful to strike the right balance of compelling the disclosure of meaningful pre-trade pricing information without discouraging market participants from producing it because of concerns that it will compromise trading positions. We will engage in thorough discussions with market participants, as well as careful staff analysis of the pricing data already available to assess how best to achieve our regulatory objectives. Properly implemented, rules providing for better pre-trade pricing transparency have the potential to transform the fixed income markets by promoting price competition, improving market efficiency, and facilitating best execution. The goal is to fully understand the role of technology and competition in today’s markets and to help these powerful forces work for investors in every securities market, including the fixed income markets. Only with this broader perspective –one guided by the daily experience of investors – will we ensure that our securities market structure continues to support a strong, growing global economy. At the SEC, we are fully and continuously committed to that objective. <http://wcm.sec.gov/servlet/Satellite?d=&c=SECSpeech&pagename=SECNews%2FSECSpeech%2FDetail&cid=1370542122012#_ednref1> See “Regulation NMS,” Securities Exchange Act Release No. 70 FR 37496, 37498-37499 (June 29, 2005) (discussion of national market system principles and objectives). <http://wcm.sec.gov/servlet/Satellite?d=&c=SECSpeech&pagename=SECNews%2FSECSpeech%2FDetail&cid=1370542122012#_ednref2> See Staff of the Division of Trading and Markets, U.S. Securities and Exchange Commission, “Equity Market Structure Literature Review, Part II: High Frequency Trading,” at 4-5 (October 7, 2013) (available at http://www.sec.gov/marketstructure/research/hft_lit_review_march_2014.pdf). <http://wcm.sec.gov/servlet/Satellite?d=&c=SECSpeech&pagename=SECNews%2FSECSpeech%2FDetail&cid=1370542122012#_ednref3> Baron, Matthew, Jonathan Brogaard and Andrei Kirilenko, 2014, “Risk and Return in High Frequency Trading,” at 14, working paper (finding that 85 high frequency trading firms accounted for 55.53% of volume in the E-Mini in August 2012) (available at http://papers.ssrn.com/sol3/papers.cfm?abstract_id=2433118 <http://wcm.sec.gov/servlet/Satellite?pagename=goodbye&cid=1370542122012&c=SECSpeech&externalLink=papers.ssrn.com/sol3/papers.cfm?abstract_id=2433118> ). <http://wcm.sec.gov/servlet/Satellite?d=&c=SECSpeech&pagename=SECNews%2FSECSpeech%2FDetail&cid=1370542122012#_ednref4> See Staff of the Division of Trading and Markets, U.S. Securities and Exchange Commission, “Equity Market Structure Literature Review, Part I: Market Fragmentation,” at 7 (October 7, 2013) (“Fragmentation Literature Review”) (available at http://www.sec.gov/marketstructure/research/fragmentation-lit-review-100713.pdf). <http://wcm.sec.gov/servlet/Satellite?d=&c=SECSpeech&pagename=SECNews%2FSECSpeech%2FDetail&cid=1370542122012#_ednref5> Pub. L. No. 94-29, 89 Stat. 97 (1975). <http://wcm.sec.gov/servlet/Satellite?d=&c=SECSpeech&pagename=SECNews%2FSECSpeech%2FDetail&cid=1370542122012#_ednref6> See, e.g., Woolsey, Matt, “BATS Takes a Cut at the NYSE,” Forbes (February 2, 2007) (multiple securities firms purchased equity stakes in ECN, “keen to prevent the establishment of a NYSE-Nasdaq duopoly over stock trading”) (available at http://www.forbes.com/2007/02/05/bats-nyse-nasdaq-biz-cx_mw_0205bats.html <http://wcm.sec.gov/servlet/Satellite?pagename=goodbye&cid=1370542122012&c=SECSpeech&externalLink=www.forbes.com/2007/02/05/bats-nyse-nasdaq-biz-cx_mw_0205bats.html> ). <http://wcm.sec.gov/servlet/Satellite?d=&c=SECSpeech&pagename=SECNews%2FSECSpeech%2FDetail&cid=1370542122012#_ednref7> See, e.g., “Commission Request for Comment on Issues Relating to Market Fragmentation,” Securities Exchange Act Release No. 42,450, 65 FR 10577, 10577-10578 (February 28, 2000) (“Market center competition may contribute to economically efficient execution of securities transactions in other ways as well. At the same time, the existence of multiple market centers competing for order flow in the same security may isolate orders and hence reduce the opportunity for interaction of all buying and selling interest in that security.”) . <http://wcm.sec.gov/servlet/Satellite?d=&c=SECSpeech&pagename=SECNews%2FSECSpeech%2FDetail&cid=1370542122012#_ednref8> See In re National Association of Securities Dealers, Inc., Administrative Proceeding File No. 3-9056, Securities and Exchange Act Release No. 37538 (August 8, 1996) (“The Nasdaq market has not always operated in an open and freely competitive manner. Nasdaq market makers have engaged in conduct which has resulted in artificially inflexible spreads between dealer price quotations for many Nasdaq securities and unduly disadvantageous prices to investors trading in those securities. A number of Nasdaq market makers have also taken action to discourage competition.”). <http://wcm.sec.gov/servlet/Satellite?d=&c=SECSpeech&pagename=SECNews%2FSECSpeech%2FDetail&cid=1370542122012#_ednref10> See Fragmentation Literature Review at 7. By 2004, the Archipelago ECN was operating as a facility of a national securities exchange. This pattern of ECNs becoming national securities exchanges has been repeated in the years since. <http://wcm.sec.gov/servlet/Satellite?d=&c=SECSpeech&pagename=SECNews%2FSECSpeech%2FDetail&cid=1370542122012#_ednref11> SEC staff analysis (number of issues outstanding in equities); SEC Report on the Municipal Securities Market at 5 (Jul. 31, 2012) (“Municipal Securities Report”) (information concerning the total number of municipal securities and corporate bonds outstanding) (available at http://www.sec.gov/reportspubs/studies/munireport073112.pdf); Federal Reserve Board, “Flow of Funds Accounts of the U.S.” Tables L.211-213 (First Quarter 2014) (providing market capitalization numbers for equities, corporate bonds, and municipal securities) (available at http://www.federalreserve.gov/releases/z1/current/z1.pdf). Request for Comment on Draft Best-Execution Rule, Including Exception for Transactions with Sophisticated Municipal Market Professionals, MSRB Notice 2014-02 (Feb. 19, 2014). <http://wcm.sec.gov/servlet/Satellite?d=&c=SECSpeech&pagename=SECNews%2FSECSpeech%2FDetail&cid=1370542122012#_ednref13> Municipal Securities Report at 143-144.